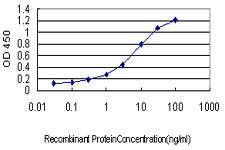 Detection limit for recombinant GST tagged HYI is approximately 0.1ng/ml as a capture antibody. HYI monoclonal antibody (M02), clone 2F6 Western Blot analysis of HYI expression in HL-60 ( Cat # L014V1 ). 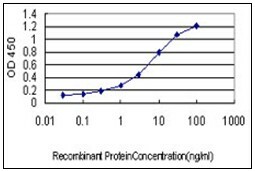 Detection limit for recombinant GST tagged HYI is approximately 3ng/ml as a capture antibody. Western Blot analysis of HYI expression in transfected 293T cell line (H00081888-T01) by HYI MaxPab polyclonal antibody.Lane 1: HYI transfected lysate(19.14 KDa).Lane 2: Non-transfected lysate. 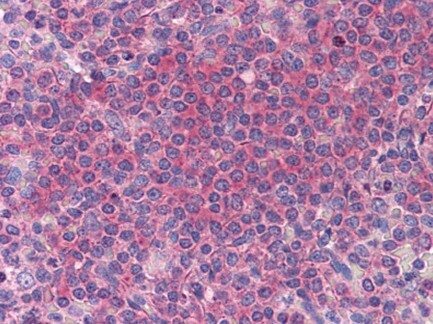 HYI MaxPab rabbit polyclonal antibody. Western Blot analysis of HYI expression in mouse liver. 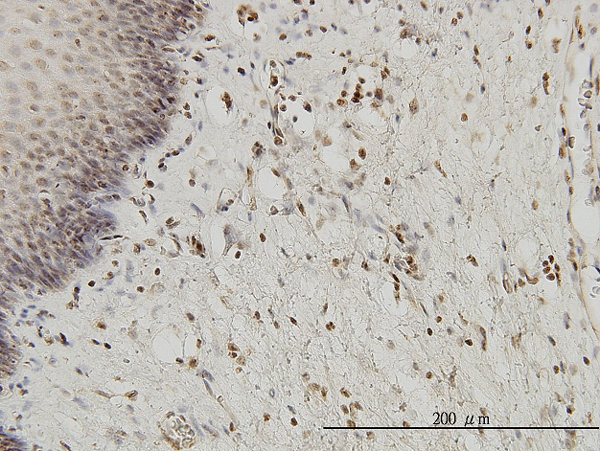 HYI MaxPab rabbit polyclonal antibody. 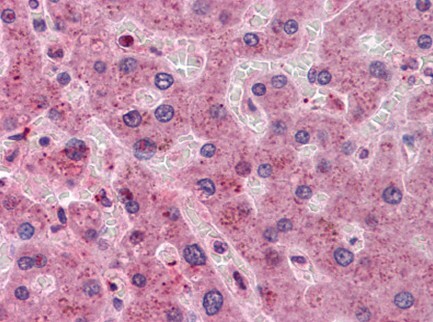 Western Blot analysis of HYI expression in human liver. Western Blot analysis of HYI expression in transfected 293T cell line (H00081888-T02) by HYI MaxPab polyclonal antibody.Lane 1: HYI transfected lysate(19.10 KDa).Lane 2: Non-transfected lysate. 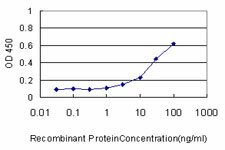 Detection limit for recombinant GST tagged HYI is approximately 0.1 ng/ml as a capture antibody.